The Royal Mews houses the horses, carriages and motor vehicles that are used by the Royal Family during state occasions. These vehicles are used by other people from time to time such as chauffeuring visiting heads of state to ceremonies and bringing newly-appoint ambassadors to the Palace to present their credentials. On a visit to the Royal Mews, guests see the ornate carriages that feature in the State Opening of Parliament, royal weddings and other such occasions. You may also get to see some of the four-legged residents of the Mews. They include 10 Windsor Greys and 20 Cleveland Bays. The original Royal Mews was adjacent to Whitehall Palace where the present-day Trafalgar Square is located. It began as a place to keep the king's falcons when they were molting or mewing. The name “mews” was carried on even after the area became a stable and place to store carriages. When George III moved into Buckingham House, he brought a few horses and carriages with him. However, since this was to be more of a private residence, he left the bulk of his horses and carriages at their traditional location. But when his son George IV decided to transform Buckingham House a palace, he closed the old Royal Mews and brought the horses and carriages to the new palace. 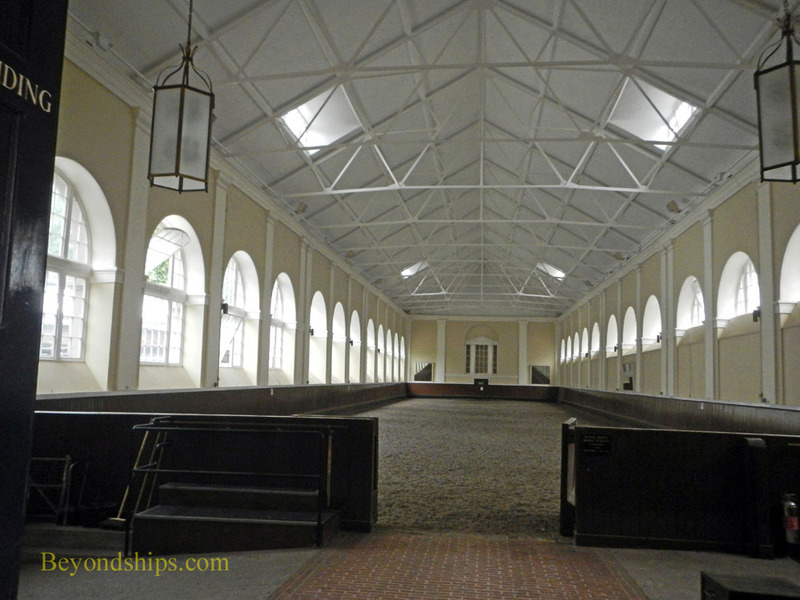 His architect John Nash built the new mews around a riding school which had been built in George III's time. The chief feature of his design is an arch topped by a clock tower that leads to the Mews quadrangle. It also provided for stables for 54 horses, a forge, and harness rooms. Queen Victoria expanded the mews. At one time, she had 200 horses stabled there. She also built new and accommodations for the staff and commissioned a school for their children. 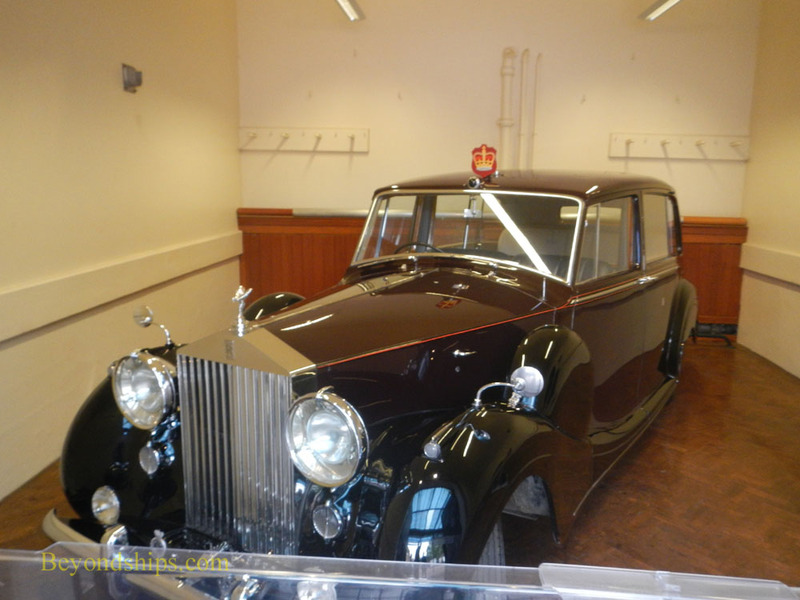 With the coming of the 20th century, the Mews also took on the role of garage, housing limousines used by the Royals. During World War II, the horses were evacuated to Windsor Castle. However, the Mews was revived after the war. When Prince Charles and Princess Anne were young, the Queen would often take them to the Mews to see the horses. The Queen also used to practice riding sidesaddle in the Riding School in preparation for the annual Trooping of the Colour. Today, the Royal Mews is part of the Lord Chamberlain's office.